This article has some very good examples of using a semicolon; I may even start using them from time to time. Click on the picture to see the article. 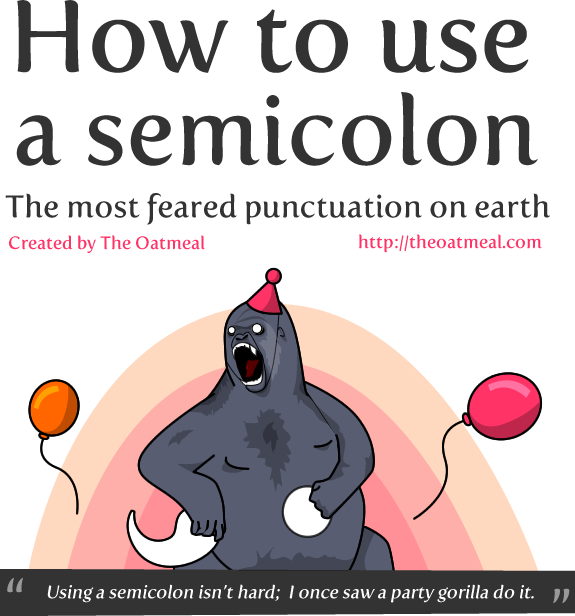 For those of you who went to the local high school, the semicolon looks like “ ; ” (without the parentheses). It is on the keyboard on the same key as the colon “ : ”.